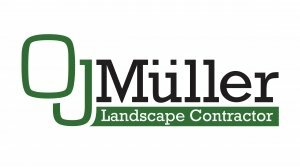 With the encouragement of his clients and colleagues, Otto Müller established OJ Müller Landscape Contractor Ltd in 1980 out of Pickering, Ontario. A Hungarian immigrant with a background in horticulture, Otto believed in delivering a superior service by developing strong relationships with his clients, staff, and suppliers – a belief we continue to carry today. Today, the business is operated by Otto’s son John with the assistance of his two sons, Christopher and Matthew. With the efforts of our talented and veteran staff, we are able to offer the same exceptional standard of workmanship using both traditional and modern techniques. With no Landscape Architect on staff, we are able to offer informal design and work frequently with Landscape Architecture firms throughout the GTA. We are professional members of Landscape Ontario, The Canadian Federation for Independent Business, and the Ontario Federation of Agriculture and active volunteers in our community. Connect with us through our CONTACT form, or follow us on Social Media. At OJ Müller, our mission is to provide a superior landscape experience. We achieve this by working collaboratively to pursue the highest standard of excellence in the landscape profession. Through experience and education, our team will work safely and responsibly to ensure we exceed the expectations of our clients and associates in every aspect of our business. We are three generations of tradition, collaboration, and innovation; and will continue to grow to meet the needs of the greater community and most importantly – our clients.